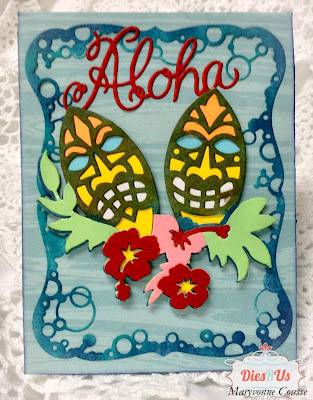 Dies R Us: ALOHA ! 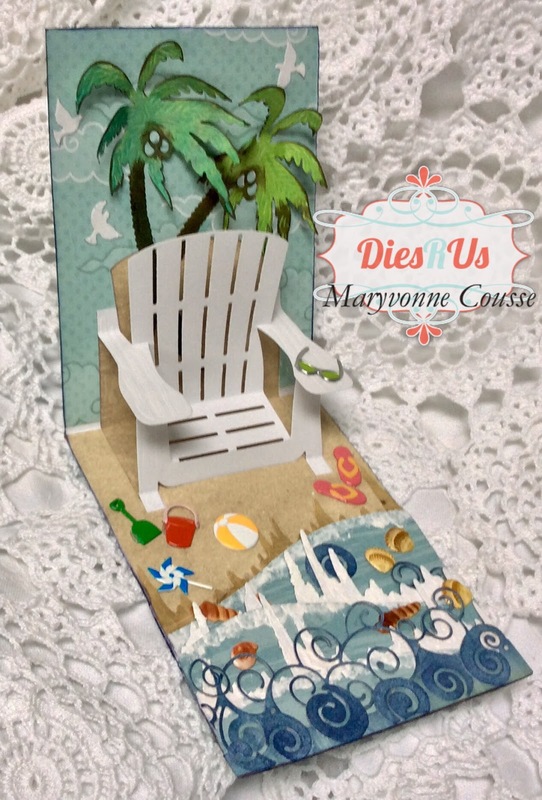 Hi Maryvonne with you today for a wonderful day of dream in the tropics ! SEA - SUN - SAND ..... , Let's Go !!!! For my post today I choose a POP UP Card inspiring of the Sea Holiday . 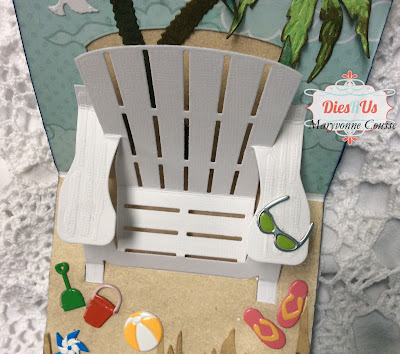 This beach chair is waiting for you !!! 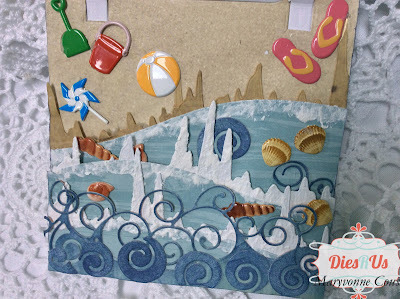 Die Versions " Tiki Boards "
Seabirds have benn made with Memory Box Dies "Small Flock of Doves "
Impression Obsession Dies "Hill Landscape Layers "
I covered the waves with Snowtex to simulate white foam of the sea side . 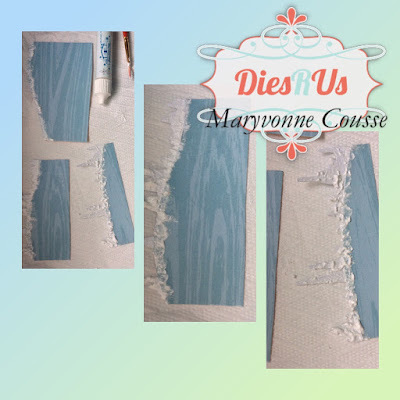 A cut made with Precious Marieke Dies "Icicles " in sand imitation paper inked with Distress Inks gives the impression of the sand just wetted by the rising waves. Memory Box Dies "Big Splash Border "
Elizabeth Craft Designs : "Adirondack Chair Pop Up "
Yvonne-Creations " Palm Tree "
Memory Box Dies "Small Flock of Doves "
Oh Maryvonne, this is as sweet and fun as can be! 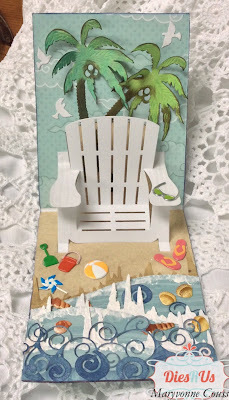 I love all the little seaside treasures you've hidden on the beach. It makes me think of the "I spy" game. So darling!! 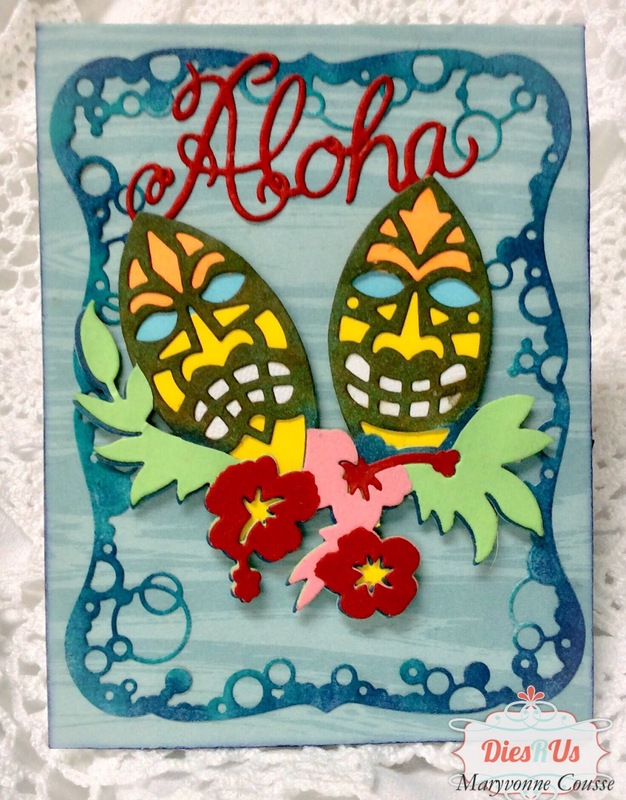 I had a lot of fun making this card !!!! OMgoodness! This is outstanding and a fun card. I have added these dies to my wish list. I can see many fun cards made with them. Love your examples. 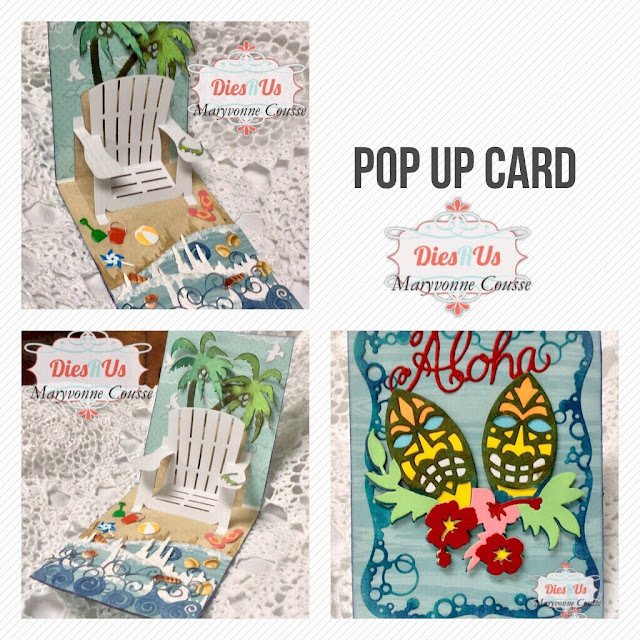 I Looovveeee pop up cards !!!! OH WOW ... 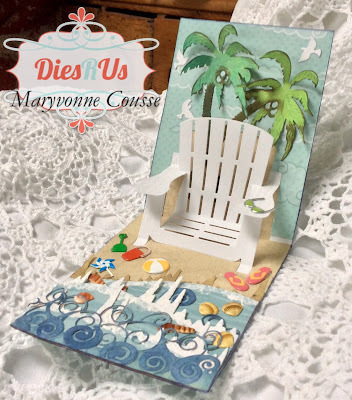 I just LOVE this card and I can hear the waves slapping against the shore as we speak! LOL What an awesome use of dies to create an inviting scene! GREAT JOB and AWESOME INSPIRATION!!! Thanks! I just regret not having seagull die !!!! I used a die "little doves" in the place ! What a perfect beach scene. Thinking I'd love to CASE this card since I have most of the dies. 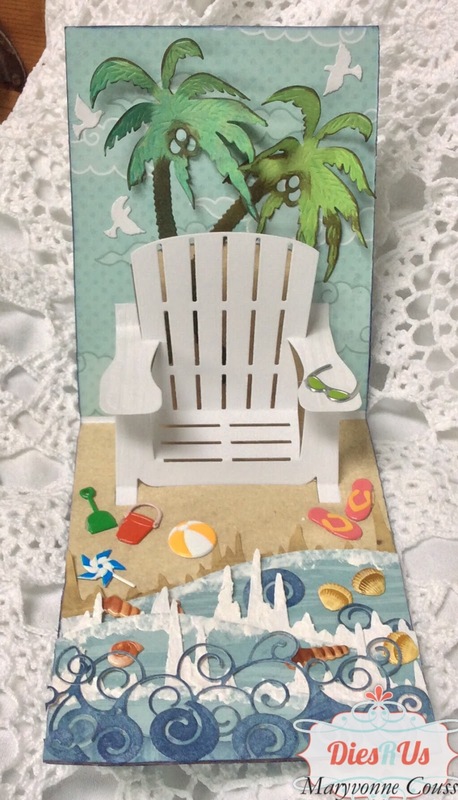 Did you use stickers for the beach toys, sunglasses, etc.? wowza! such fantastic details! this is amazing! you rocked it!